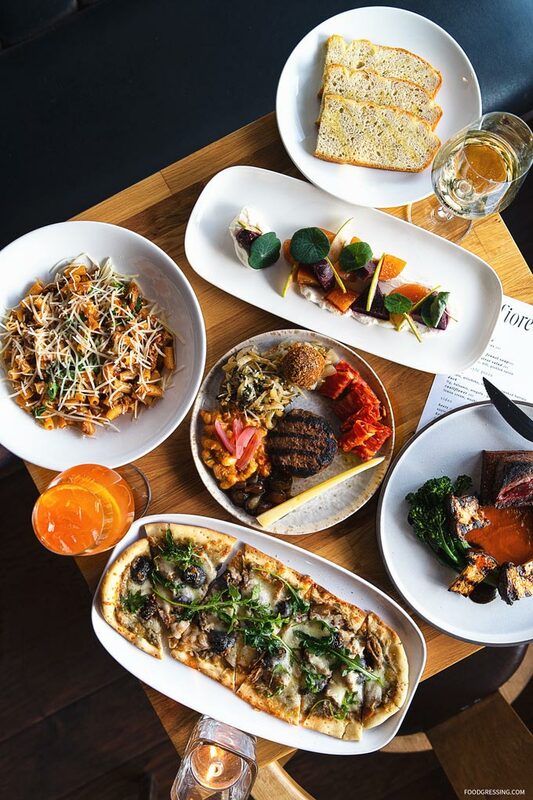 Fiore is a neighbourhood Italian restaurant in South Granville and is brought to you by the same people who run The Stable House. 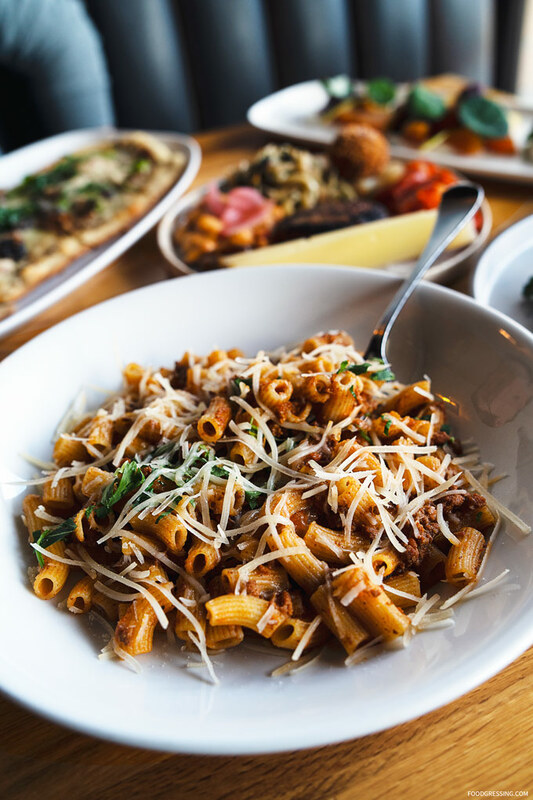 Their menu features traditional and non-traditional antipasti, hand-crafted pastas, roman-style pizzas and several entrees. 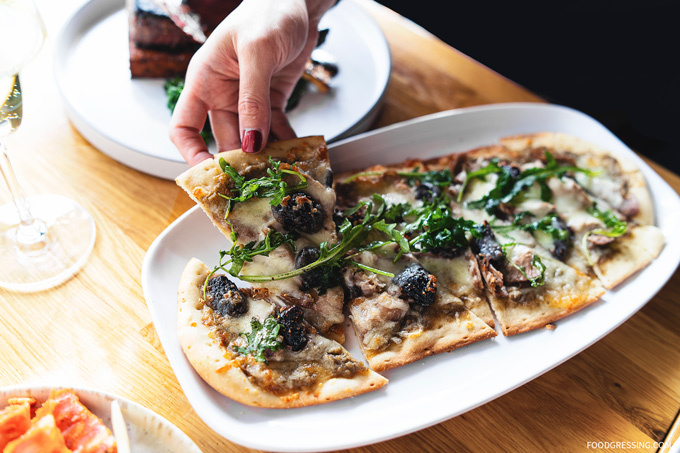 Located just off 12th and Granville, it’s a place to grab a bite to eat during a shopping trip, pre-theatre, or while exploring the neighbourhood’s galleries. 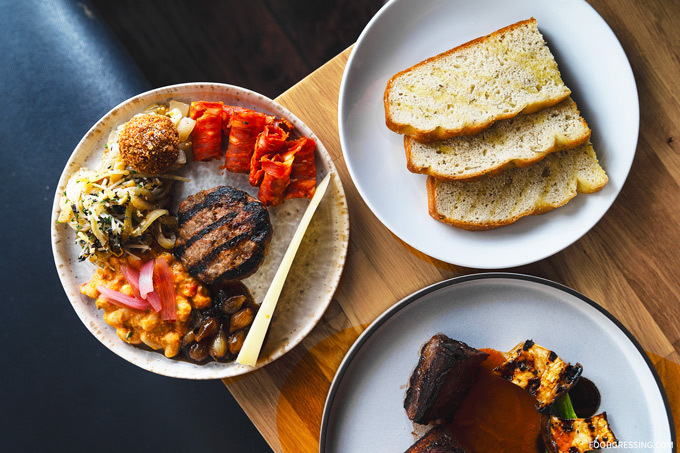 Fiore most recently decided to go with a more family-style share plates approach with their menu. I was invited to try their new menu offerings. 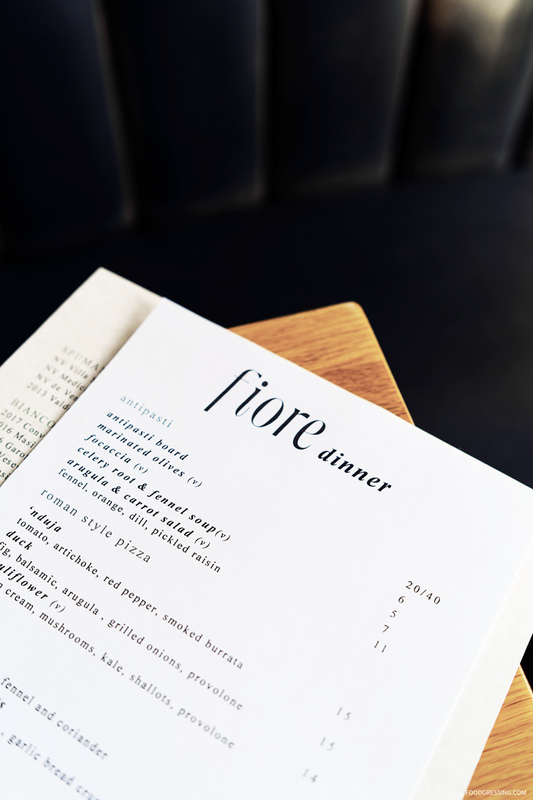 Here’s a look at my dinner experience at Fiore. To start, we tried their beautifully plated antipasti board ($20) featuring asiago, piave, herbed chevre, agrodolce, finocchiona, soppressata, n’duja, arancini, grilled fennel salad, house made sausage and white bean salad. It was a great assortment of items offered. 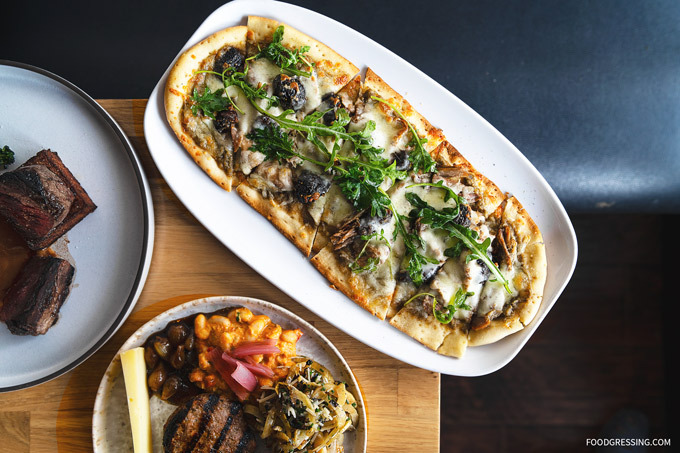 The duck flatbread-style pizza ($15) was an exotic offering and had sweeter flavours from the fig, balsamic, arugula, and grilled onions. I enjoyed the thin crust. Our pasta choice was the rigatoni bolognese ($22) with pork, tomato sauce and freshly shaved parmesan. I enjoyed the al dente pasta and the hearty bolognese sauce. A meat-centric entree we tried was the Braised Beef Chuck Flat ($26) featuring herbed polenta, king oyster mushroom, tomato, black garlic and bacon. 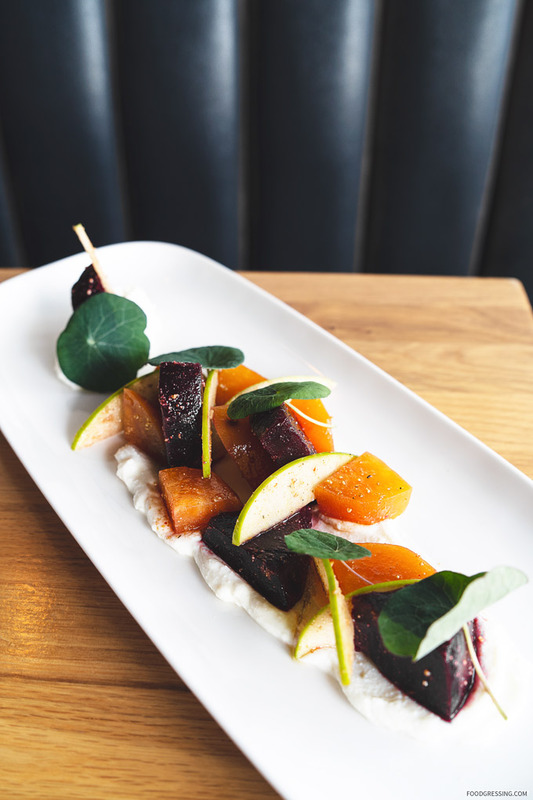 For a side dish, we had the beets ($8) accompanied by apples, ricotta, fennel and coriander. It was a very light, refreshing side with sweet beets, creamy ricotta and crispy apples. 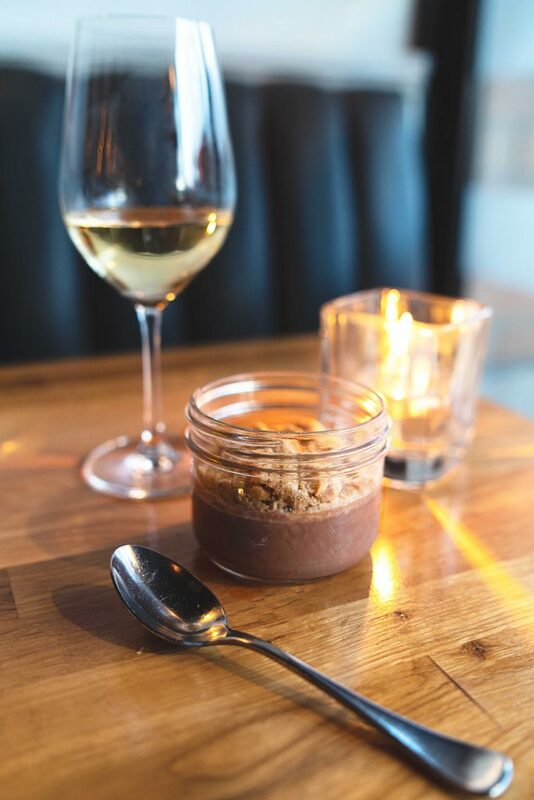 For dessert, we had the smooth and silky hazelnut pannacotta with peanuts. My favourite items from the tasting were the antipasti platter, rigatoni bolognese, beets and the hazelnut pannacotta. 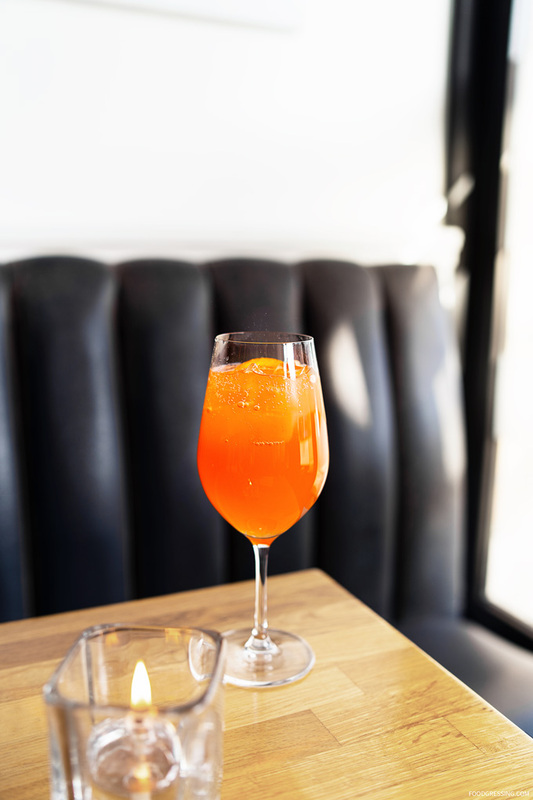 Fiore is open for dinner Tuesday – Saturday from 5:00 pm – late. 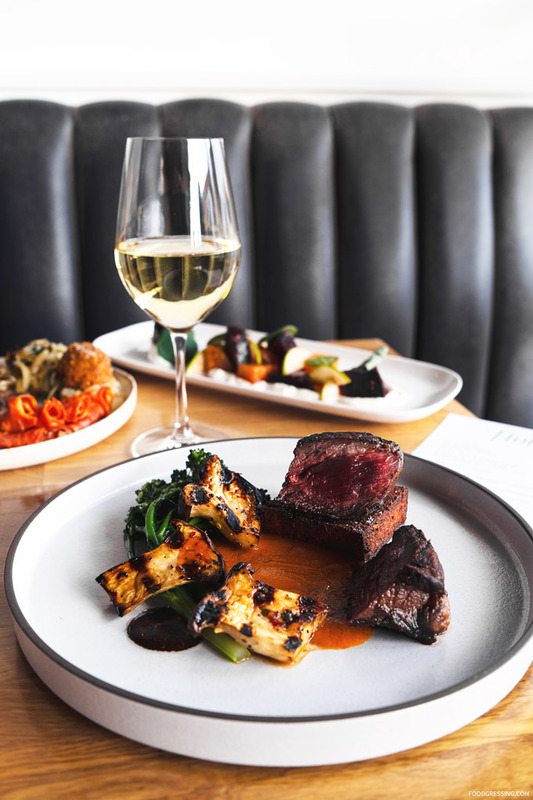 For more information, visit fiorerestaurants.ca.